“Return to Sender” is the title of the new episode of God Friended Me airing Sunday, March 24 on CBS. Here’s how they describe it; some photos follow below. When a package mistakenly shows up on Miles’ doorstep, his search for its importance leads him to a couple grieving the loss of their daughter. 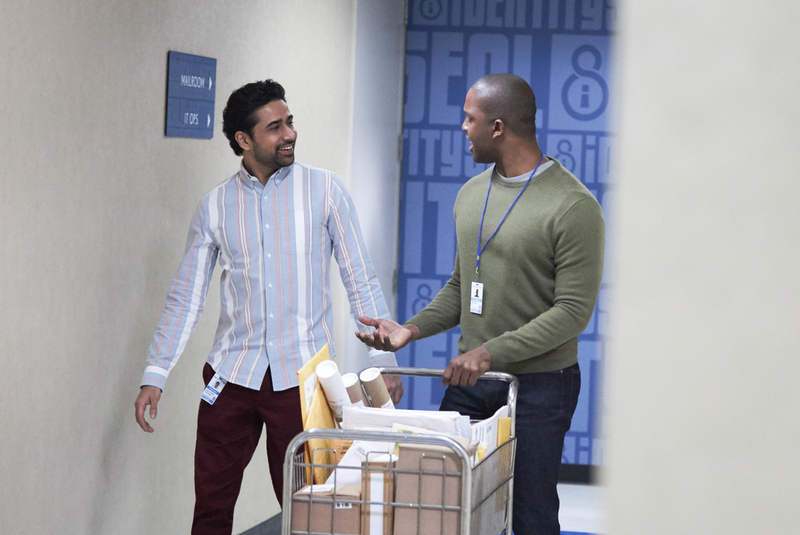 Also, Miles, Cara and Rakesh reunite with John Dove (Christopher Redman), Miles’ first friend suggestion, after Rakesh discovers a connection between Dove and Simon Hayes (Adam Goldberg), on GOD FRIENDED ME, Sunday, March 24 (8:00-9:00 PM, ET/PT) on the CBS Television Network. "Return to Sender" -- When a package mistakenly shows up on Miles' doorstep, his search for its importance leads him to a couple grieving the loss of their daughter. Also, Miles, Cara and Rakesh reunite with John Dove (Christopher Redman), Miles' first friend suggestion, after Rakesh discovers a connection between Dove and Simon Hayes (Adam Goldberg), on GOD FRIENDED ME, Sunday, March 24 (8:00-9:00 PM, ET/PT) on the CBS Television Network. Pictured: Suraj Sharma as Rakesh Singh. Credit: Michael Greenberg / 2019 CBS Broadcasting, Inc. All Rights Reserved. Recurring cast appearing in the episode includes Erica Gimpel (Trish), Robert McKay (Lester), Shazi Raja (Jaya), Adam Goldberg (Simon Hayes), and Christopher Redman (John Dove). Additional guest stars in the God Friended Me episode “Return to Sender” include Cara Buono (Karen), Jeffrey Pierce (Richard), Shamika Cotton (Jen), Tracee Beazer (Diana), Michel Gill (Wilson), Arica Himmel (Lindsay), Tom Ashton (St. Michaels Male Parishioner), Ava McCoy (Young Parishioner), Roger Hall (Ryan/Mailroom Clerk), and Kim Park (Teacher).